June 14th 2018: Fly swatters are for suckers! Take flies out with Bug-A-Salt. June 11th 2018: Part of The Manual's '7 Bug Killers To Make Fly Swatting Fun. 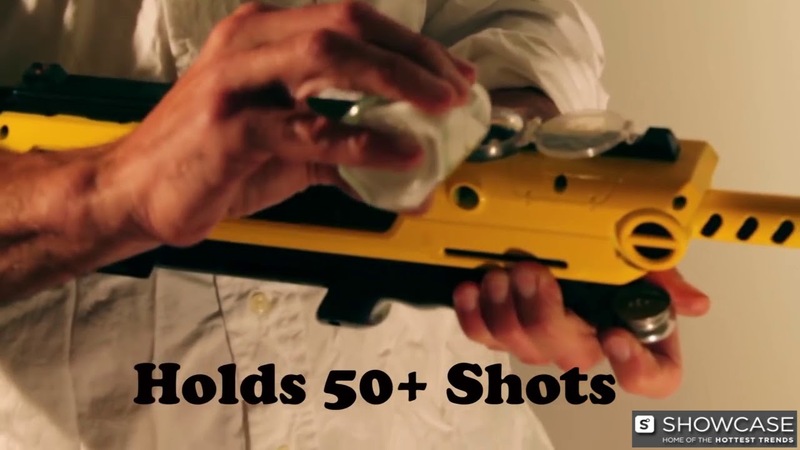 The Bug-A-Salt 2.0 Salt Gun lets you rid the world of pests... and have fun doing it! With an effective range of up to 3 feet, this premium, extreme fly killing machine uses less than a pinch of salt to turn out the lights on disgusting, disease carrying insects. While this salt spraying shotgun may be a nightmare for pesky flies, it's completely non-toxic to keep the kiddos and pets safe. Batteries? For this kind of fun, you don't need batteries. The pump-action Bug-A-Salt 2.0 Salt Gun is powered by a blast of air and a splash of twisted, problem-solving fun. Ages 18 and up. Nightmare for flies within 3 ft.
Loads of problem solving fun!